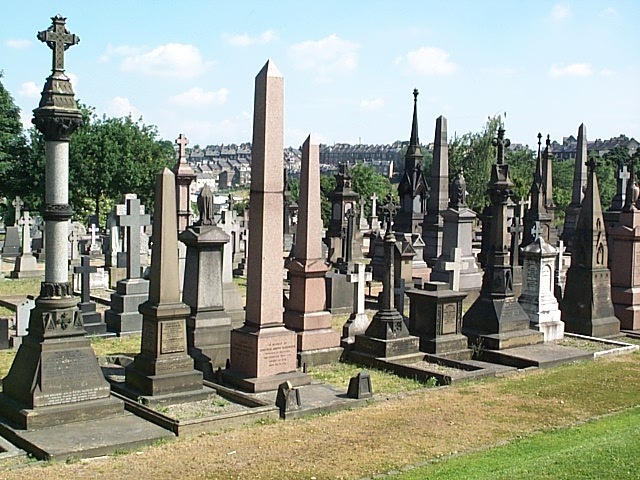 Bradford's famous Victorian cemetery, noted for its lavish monuments in memory of the stinking rich from a time when those who made them rich couldn't even afford shoes. © Copyright David Spencer and licensed for reuse under this Creative Commons Licence. This page has been viewed about 1023 times. Undercliffe Cemetery: You are speaking ill of the dead. The people buried here have many living descendants.